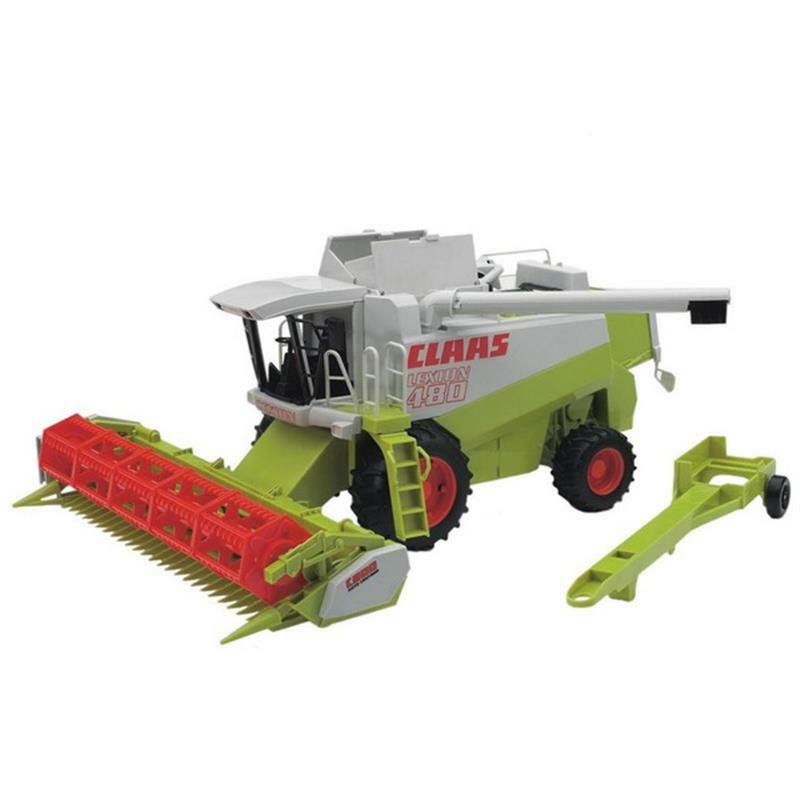 Bruder Toy 02120 Claas Lexion 480 Combine Harvester. Draw in roller that can be tilted up and locked in position. Straw chopper that can be also tilted up. Grain pipe that swivels out. Grain bin flap and hatch open.